When your mind is made up to invest in a property abroad, there is nothing more joyful than trawling through the search sites to see what you can get for your budget. Spain continues to be a top choice for relocating, holiday homes and investment in rentals – you're likely to know why if you're reading this blog. Property search sites are great at drilling you down to budget, size and type of property, and if you're not sure on location, you will see regions in the South East of Spain pop up quite often, especially on the Costa Cálida coast line. Costa Cálida has its own micro climate, making it perfect for year round sun worshippers. Our clients, Neil and Fiona Shackleton, were both intrigued with the area and property available here. We asked them to tell their story about visiting the Murcia region as part of our Inspection Trip offering. The Murcia region, and especially Costa Cálida kept coming up in our property searches, ticking pretty much all our boxes in terms of budget, property size and property type – we wanted a modern three bedroom villa.It looked like an area where you could get a lot of property for your money. As you can imagine, this really appealed to us (on paper anyway). So we did a little research on the area and enquired about a couple of properties that really caught our eye.Si Spain was one of the first agents to get in touch, and we felt an immediate connection with Craig, who rather than focus on the property we enquired about, asked us questions to make us think. Why are you looking at properties in Spain, why this area, why now, what's important to you? In our world, the sun heals the soul, and we love our breaks away to reconnect as a family. So our main reason for looking for a second property, and investing in one abroad, was to give us a base to spend the school holidays and create a sun and sea filled home from home. We kept doing our Sunday night searches, and then October half term loomed. 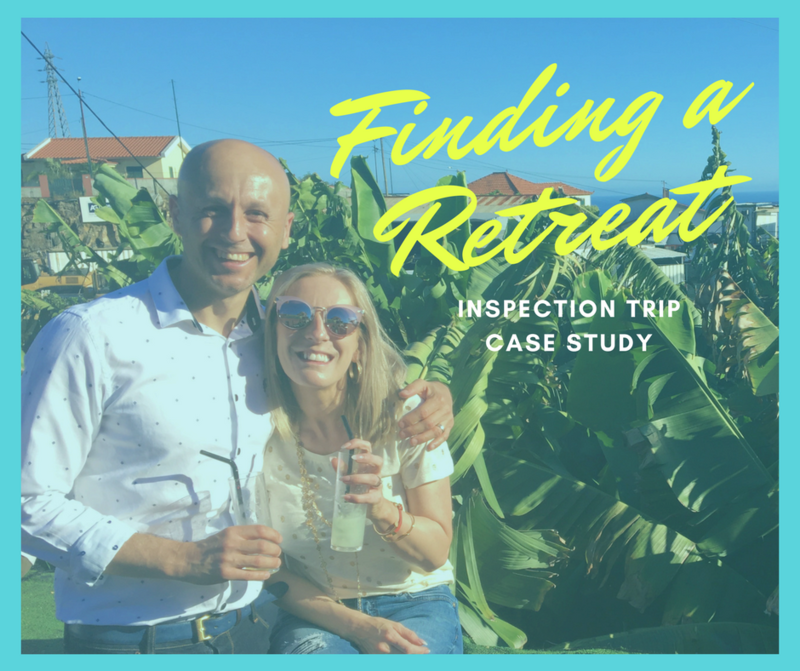 We made a snap decision to spend a long weekend in South East Spain, incorporating Si Spain's Inspection Trip into our break. We are based in Yorkshire, and finding good flights in October to Murcia was not a problem. One short flight and smooth exit from San Javier airport and we arrived to winter warmth – YES! Si Spain picked us up and took us to the Mar Menor Golf Resort where we stayed. This was our tranquil little spot for the weekend. Craig kept mentioning 'the town', which we thought would be next to the golf resort. Boy, we were wrong. Mar Menor is an impressive gated community beautifully presented. It took us a morning to walk around a small portion of it, with a few swimming stops on the way for the kids, ending in a lovely lunch at the golf house. Mar Menor Golf Resort has established a wonderful community with full time residents, holiday home visitors and golfers. It's a great resort, and showed us the potential of transitioning, and not just visiting during school holidays. That idea appealed to us, however, our brief was still very sketchy, as we had absolutely no idea what each area in the region had to offer. Thankfully, for the first day, Craig took us on a whistle stop Costa Cálida and Southern Costa Blanca tour. We stopped at a number of places which stood out to him, based on our rather sketchy (or so we thought) brief. He showed us the larger towns, schools and the vast amenities on offer. We loved the entire area, mainly for its coastline and of course that much needed sunshine. It has a little bit of everything you need for a family, and all within decent driving distance (without the traffic jams). The La Manga strip offers a touch of glamour, Cartagena a sense of history, Los Alcazares a family resort that hasn't lost its Spanish essence, and San Pedro Del Pinitar for its tranquillity. There was also enough time to cross the Costa Cálida border into southern Costa Blanca and again, we were impressed with its beach resorts and towns slightly in land. It was near Pilar De La Horadada that we visited the Lo Romero Golf Resort. Finding the right location is the all-important factor for Si Spain. Craig told us 'it must be at the heart of every property decision'. Find the right one for you, and Si Spain will be happy to find you the property to match. Well, Lo Romero did just that. Standing in the middle of a construction site looking out towards the Mar Menor on one side, and the beautiful golf course on the other, felt like we were home. That retreat we had in mind seemed somewhat real in that moment. It's fair to say that we found the perfect plot. Spending a couple of days with Craig helped us understand the area and shape a clear and concise goal that would suit us personally and financially. We're in the process of moving forward, and that brings a smile to our faces everyday. Inspection Trips can be arranged after an initial chat. Let's make this happen get in touch.